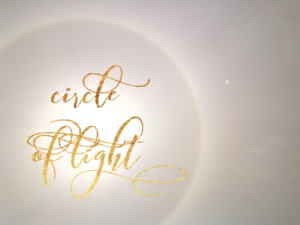 It’s nearly time for Circle of Light again… if you’ve not heard of Circle of Light let me explain. Once upon a time I used to run a business network, it was called Divine Networking. I met a lot of great people and believe that I helped lots of them either personally, professionally or both. After a couple of years it came to its natural conclusion and it was time to move on as I had grown and developed, like we all do. I still had the desire to bring people together and with a little bit of prompting the idea began to formulate and Circle of Light was born. Have you ever felt the need to explore the big questions in life like why are we all here, what’s it all about and when am I going to have the answers? I think we all start wondering about these things at some point in our lives… For me this has led to finding and accessing my spiritual side and becoming much more balanced and fulfilled in all areas of my life. If you would like to come together in a group situation to discuss the big topics of ‘Life the Universe and Everything’ then maybe this is for you. There are two groups currently running – a morning group and an evening group. The morning group runs once a month on a Wednesday from 10am – 12pm and the evening group runs once a month on a Thursday from 7pm – 9pm. All meetings are held in the safe nurturing environment of my home here in Tonbridge, Kent. For a full list of dates please see the list on the webpage HERE. If you are curious or would like to know more drop me an email by CLICKING HERE or give me a call. I would be delighted to hear from you and maybe I can help you on your own very personal journey. Sometimes we all need a helping hand. Recognise that it is an act of strength to ask for help and you will soon see powerful positive change occurring in your life. Awesome!